Likely Tammy Grimes and Jody McCrea, from the May 13, 1957 episode of Studio One, "Babe in the Woods." Photo from the WCFTR collection. 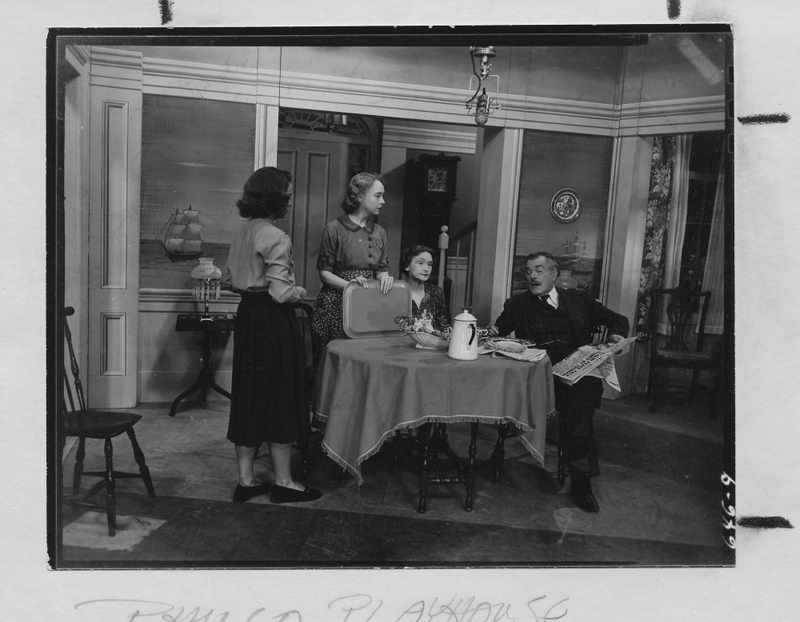 Broadcast initially from New York City and later from Los Angeles as well, anthology dramas presented a new "play," with a new cast, each week. 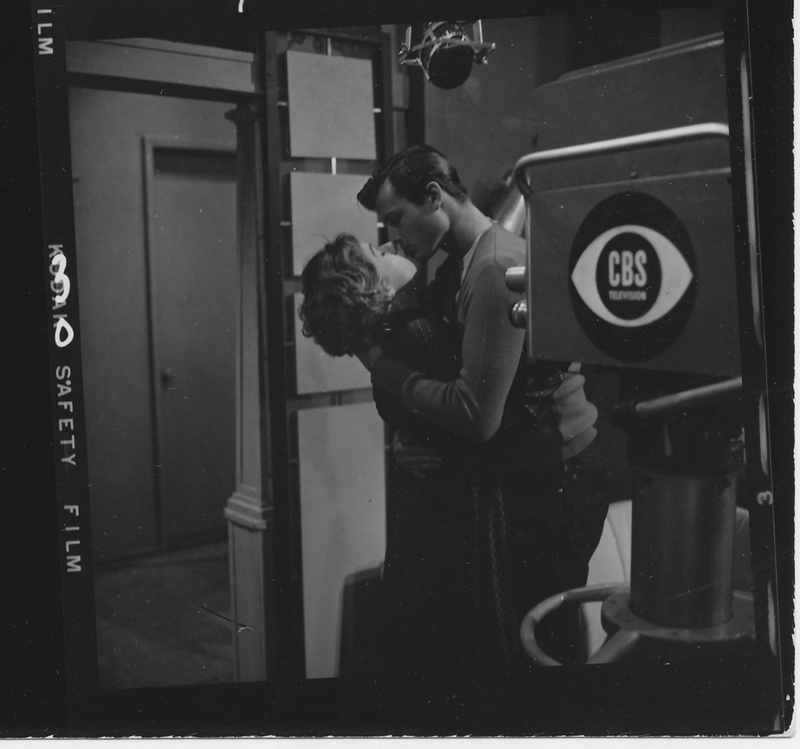 When the major American radio networks—CBS, NBC, and ABC—expanded into television, they carried over many popular formats of radio programming, including the anthology drama. NBC's Kraft Television Theatre was the first anthology drama on television and was quickly followed by several others, such as NBC's Philco-Goodyear Television Playhouse and CBS's Westinghouse Studio One. As television networks began to shift to filmed serial drama, the live anthologies declined in number. But the anthology drama remained a prestige genre until the end of the decade, with the networks concentrating budgets and publicity on a few, lavish shows like CBS's Playhouse 90. 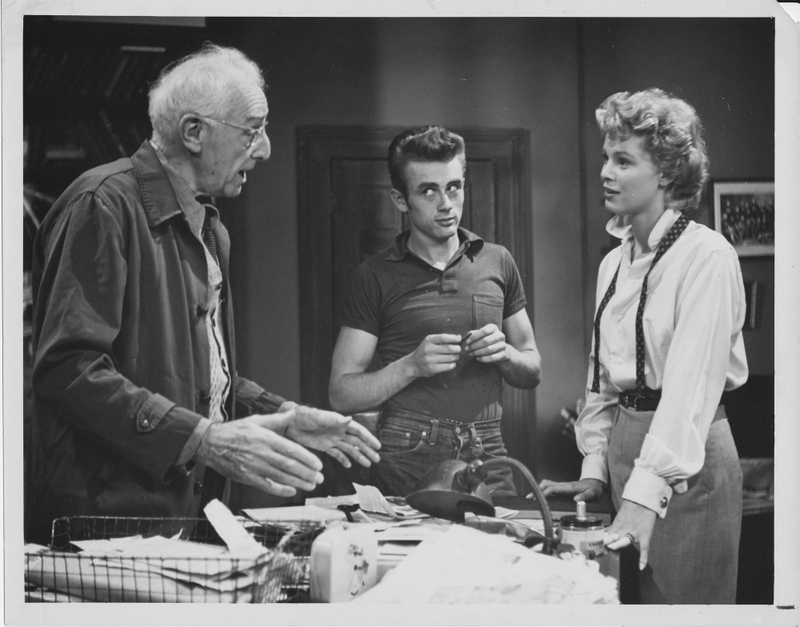 As Hollywood film studios began making fewer movies in the 1950s, anthology drama became a way for established film stars and character actors to stay in the public eye. Familiar faces like Ralph Bellamy, Miriam Hopkins, Jose Ferrer, and Lillian Gish drift through many anthology episodes, in cameos or as top-billed attractions. Other Hollywood stars, such as Ronald Reagan, lent their Hollywood reputations to television by hosting anthology series. But much of the talent both in front of and behind the camera in these series were just beginning their careers. Directors like Arthur Penn, John Frankenheimer, and Sidney Lumet, who would go on to pave the way for the New Hollywood with their venturesome feature films of the 1960s, all got their start in live anthology drama. Actors such as Paul Newman, Eva Marie Saint, James Dean, Grace Kelly, and Jack Lemmon were all regulars on such shows years before they became major box-office draws. These directors and actors drew on their training in the contemporary New York theater, and many Americans received their first exposure to modern styles of theatrical realism and "method acting" via anthology drama. A twenty-two-year-old James Dean in an episode of Danger, "Death Is My Neighbor,"
broadcast August 25, 1953 on CBS. Photo from the WCFTR collection (click to enlarge). Despite this illustrious heritage, very few of the thousands of episodes of anthology drama broadcast in television's first decade are well-known today. Only a small handful, written about and repackaged as commercial videocassettes and DVDs, remain familiar to a broad public. These canonical episodes often support the contention that live drama was best suited to small-scale dramas of everyday life. The most famous such drama is Goodyear Television Playhouse's "Marty," broadcast in May 1953. The story of a lonely butcher stumbling into love won critical praise for writer Paddy Chayevsky, director Delbert Mann, and star Rod Steiger. Like numerous anthology episodes, "Marty" was later remade into a feature film. Both the television episode and the film are available on DVD. 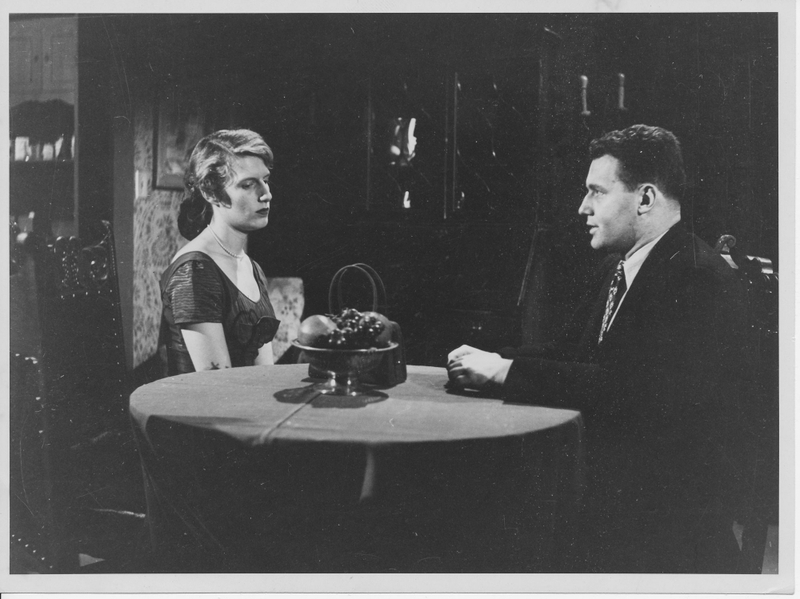 Rod Steiger as the title character in the 1953 Goodyear Television Playhouse episode "Marty"
Photo from the WCFTR collection (click to enlarge). The WCFTR collection contains a great many materials on The Golden Age—from networks, ad agencies, directors, producers, writers, and actors—that, in helping to put together a portrait of the Golden Age of Television, add up to even more than the sum of their parts.